I’m starting to get my groove now, with this merino. I found myself picking up my speed again tonight, and it was OK. I had to slow down a couple of times, but I never “lost it” or let it get too thin. 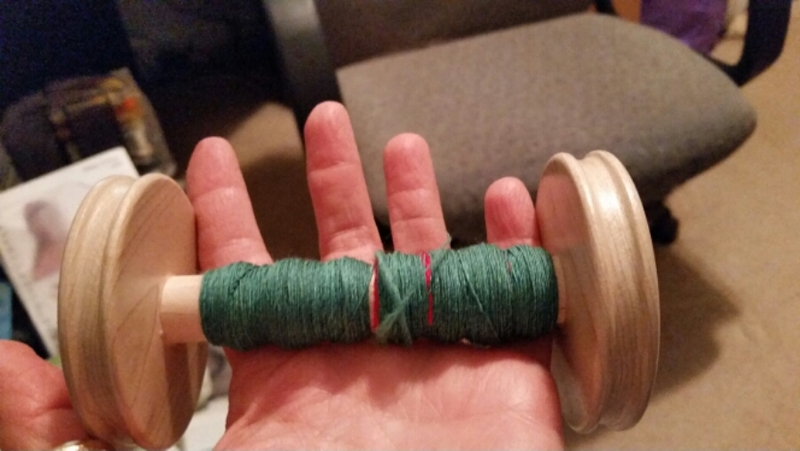 I finished the second bobbin, but I’m not going to ply tonight. I’m tired, and it’s just late enough that I don’t want to commit myself to another 40 minutes of this.